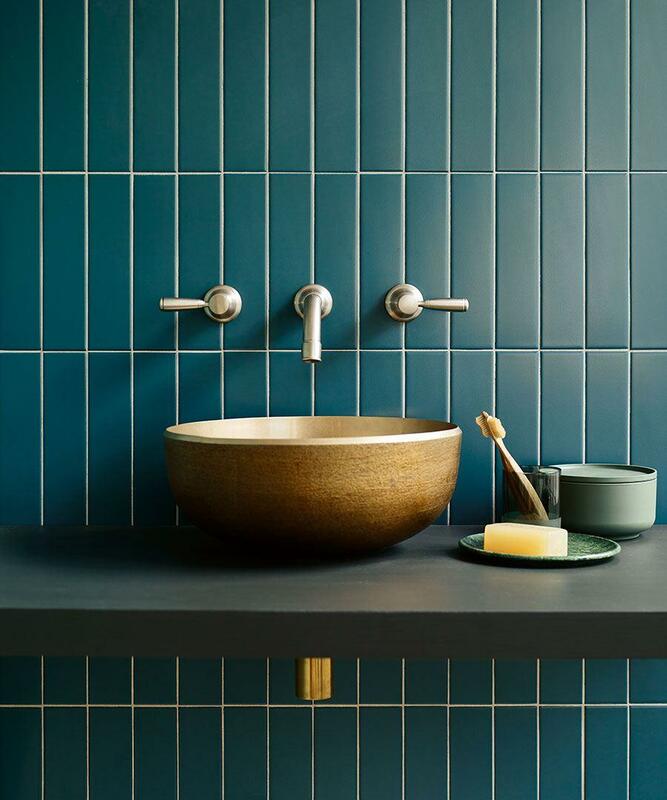 We really had bathrooms and kitchens in mind for our new glazed tile ranges for a water-resistant finish for walls in a tactile series that act as a counterpoint to cabinets and brassware. Potters glaze has a variated edging replicating the touch of the potter on wet clay, whilst Coastal glaze is more linear and in charming seaside inspired colourways. 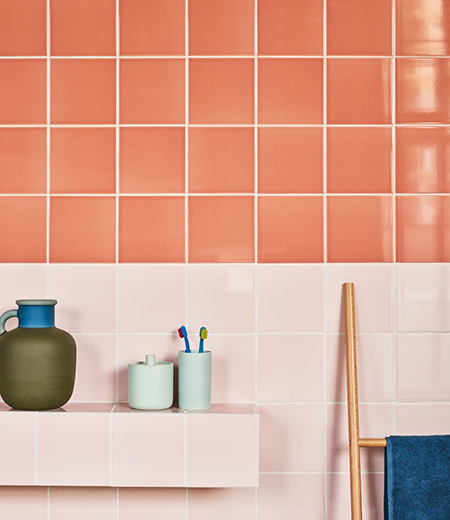 Cabrera, another new wall tile from Spain, is named after an islet in the Balearic Islands. We felt the colourways were just ideal for many of the homes we know our clients are decorating. 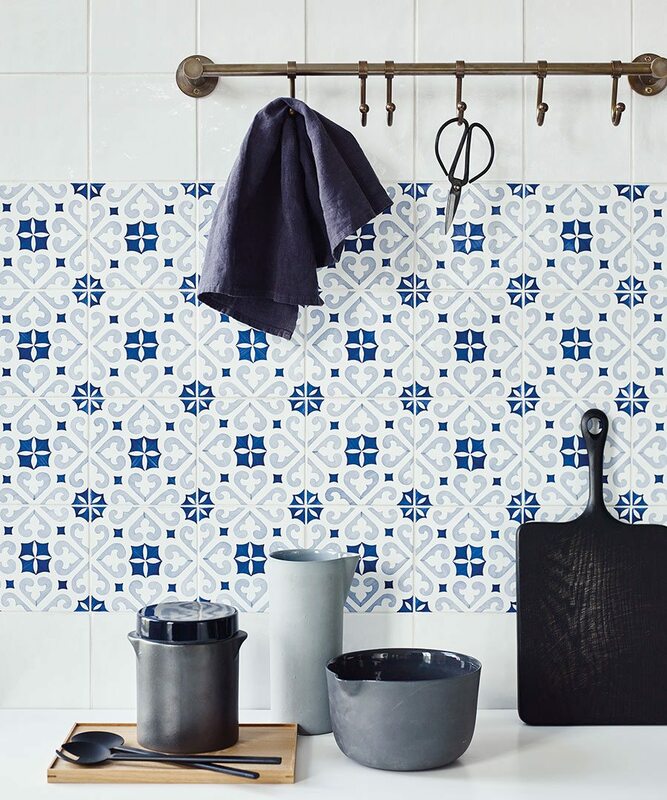 Blue and white in particular is a favourite for bathrooms as it always feels so fresh and clean and the patterns are modern but classic all at once. Cabana brick meanwhile is one of those ranges that felt right almost straight away. Once we worked on the colours a little it will now fit into myriad schemes with its choice of mouth-watering shades, just as we had hoped at the outset. The Hayek Hex came about because of our love of the shape and evolved into something truly special once we had settled on the colourways. Its super practical for floors and will be a scene stealer where used we hope. 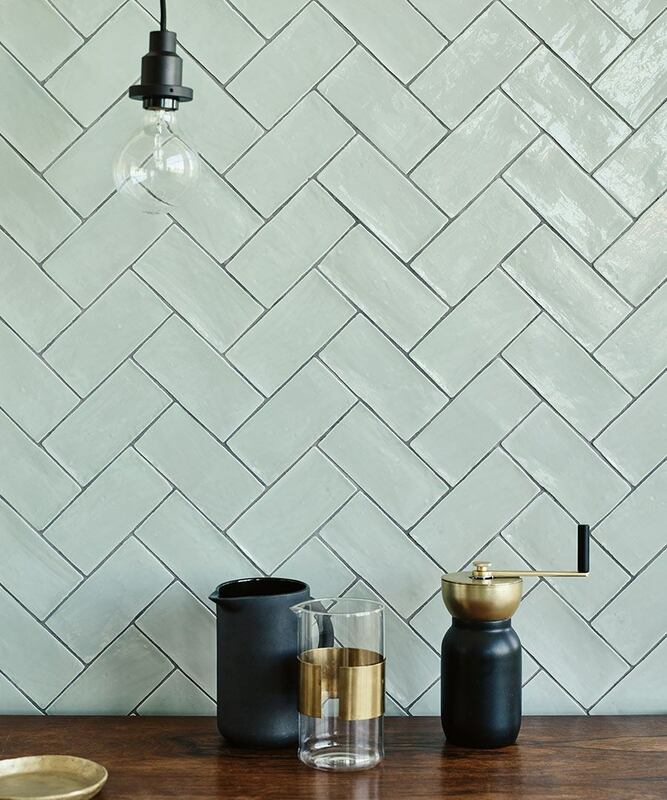 The production quality of porcelain has gone from strength to strength and our two new ranges are a case in point. We have worked on the success of our East Haven and Brook Haven marble ranges to bring you a tile range in Cedar Point that feels a little warmer, and with all the practicality of being machine made. Its great used alongside oak and rattan furniture or gold and antique brassware. Where the Cedar Point replicates marble, the new Dorset Cove collection replicates wood so cleverly its barely possible to spot the difference without getting close up. 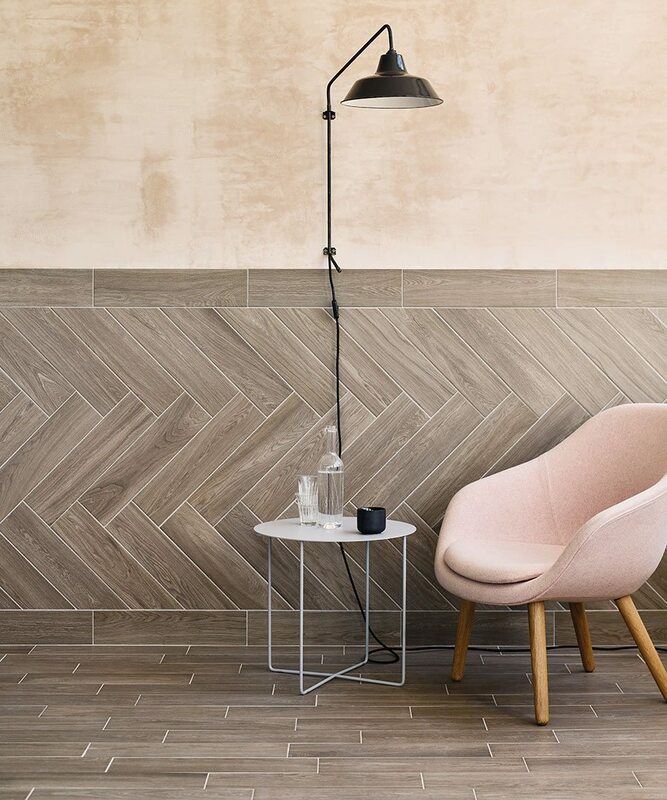 The planks feel so authentic and chic used either on the floor in the traditional way, or as a feature wall. The new collections are all now in stock here at our warehouse so it feels great to have completed this round of development. We hope you love it. Next up, a trip to Belgrade in search of something special…watch this space.